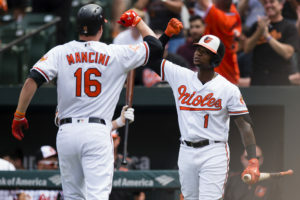 The Baltimore Orioles were able to win their first of the four-game series against the Detroit Tigers on Saturday night. 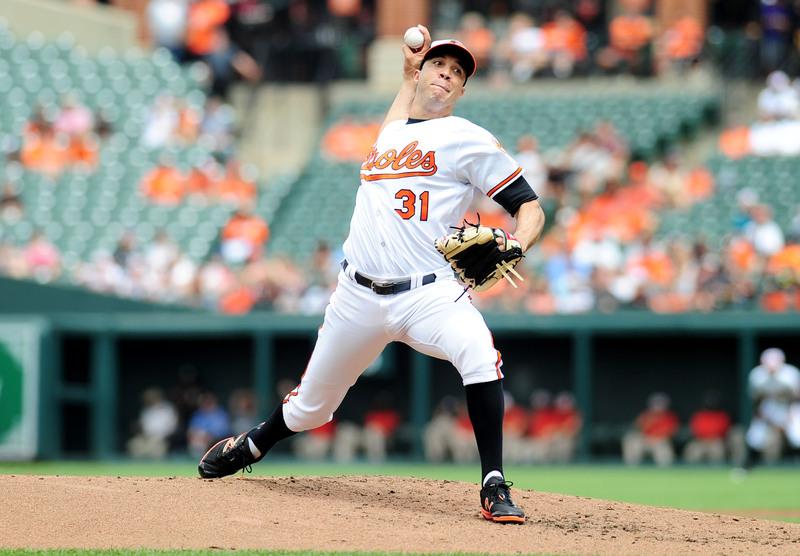 With Ubaldo Jimenez pitching, Baltimore looked to continue winning. BALTIMORE, Md. — Baltimore started things out with a string of big flies. The first homer came off of the bat of Jonathan Schoop. Schoop hit a two-run homer (25) to left center field, driving in Manny Machado. Chris Davis would be the next to homer (18), belting a solo shot to center field. Trey Mancini was also able to join in on the home run parade, hitting a solo home run (18) to center field. 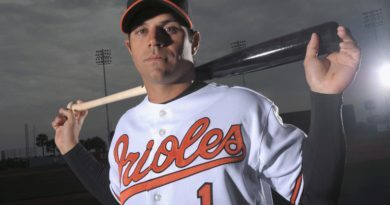 In the bottom of the second, Machado doubled (25) on line drive to right field and Joey Rickard scored. The two would pair up again in the fourth inning. Rickard hit his fourth home run of the season on a line drive to left field. 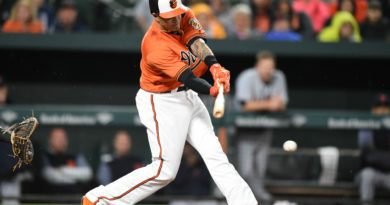 Machado joined the 20 home run club with his two-run blast to score Adam Jones. With the Orioles now up 8-0, they looked to cruise for the rest of the game. Tigers third baseman Nicholas Castellanos hit a first pitch home run (16) off of Ubaldo Jimenez in the top of the fifth. Other than that misstep, Jimenez had a solid outing. In 5.2 innings, Jimenez allowed just one run (one earned), one home run, giving up nine hits, walking three and striking out six. Although his start was a bit shaky at times, it was enough to hold Baltimore’s lead throughout his outing. In relief for Jimenez came Richard Bleier. Bleier went 2.1 innings without allowing a run and just allowed two hits. After Bleier’s 2.1 innings of work, Baltimore was able to pad their lead even more in the eighth inning. The Orioles were able to continue to thrash the Detroit bullpen, putting up four more runs in the bottom of the eighth inning. Machado singled on a ground ball to left field, scoring Caleb Joseph and Rickard. Jones advanced to second. Later in the inning, Davis grounded out and scored Jones, moving Schoop to second base. Then the perpetually hot Tim Beckham singles to right field to score Mancini. In the top of the ninth, Donnie Hart entered the game in relief. Ian Kinsler got on base. Justin Upton grounded out, but drove in Kinsler to put up another run for the Tigers. Jim Aducci moved to second base. Next, Mikie Mahtook singled to right field, scoring Aducci. Baltimore would eventually win 12-3. Orioles manager Buck Showalter spoke a bit after the game about Baltimore’s difference in home run production. Schoop, Davis and Mancini combined for the first back-to-back-to-back home run streak for the Orioles since August 19, 2016. The last time three Orioles to do this were Machado, Davis and Mark Trumbo. Machado hit the 5,000 home run in Orioles home ballpark history (2,490 at Memorial, 2,510 at Camden Yards). It was also Machado’s 20th home run of the season.